The holidays are almost here! 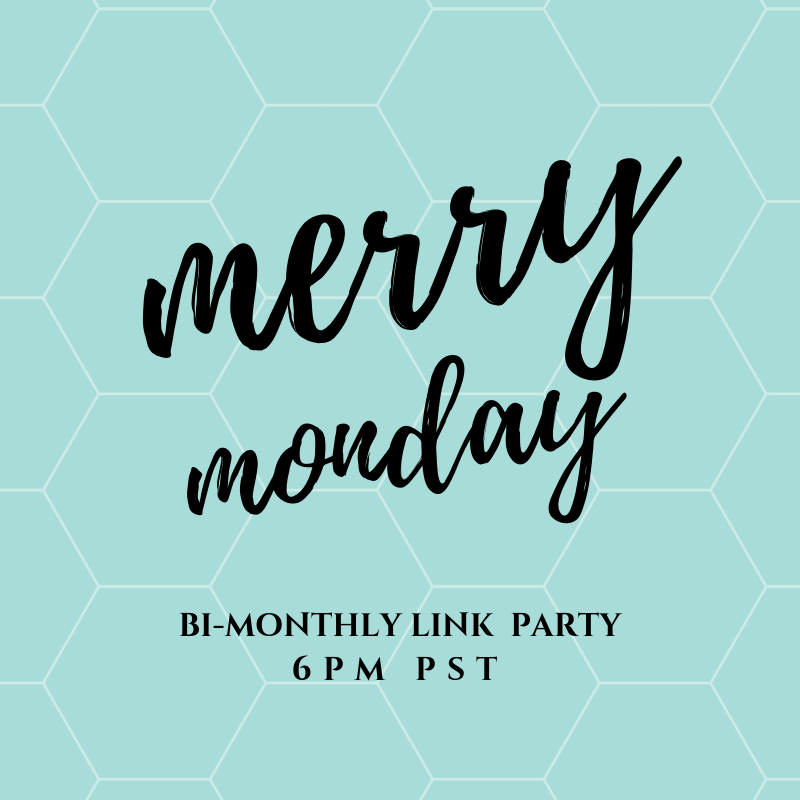 I have been busy getting my tree together early because this year I am excited to be a part of the My Home Style Blog Hop: Christmas Tree Edition! See how I put together my Eclectic Bohemian Style Christmas Tree with handmade and store-bought items! 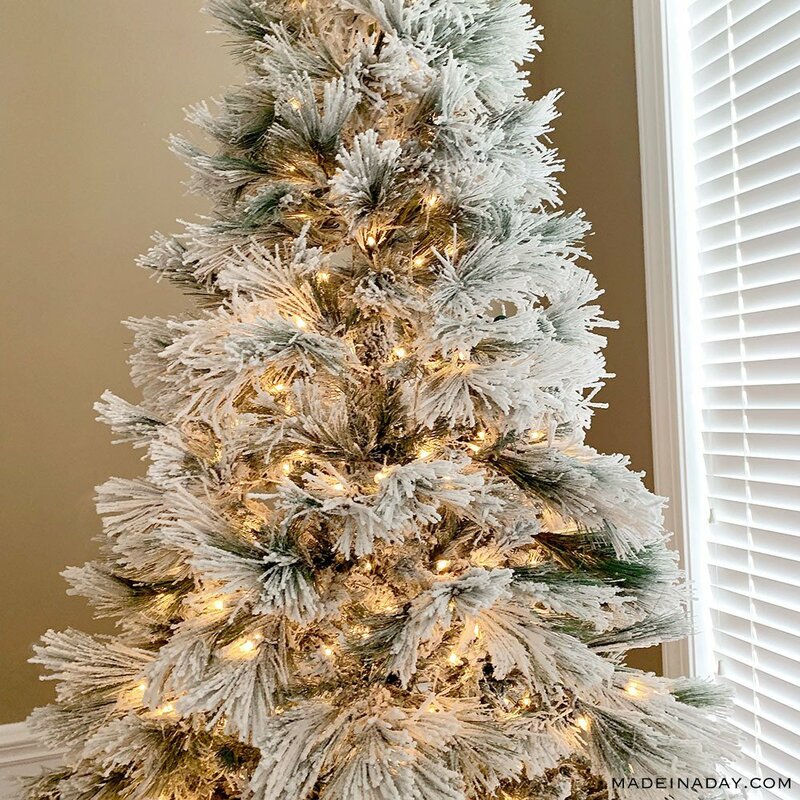 I have joined up with some of the most amazing bloggers to show off all the different styles we have and how we decorate our Christmas trees for the holidays. 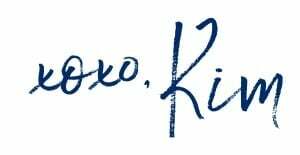 First I want to welcome all the new readers coming from the previous blog in the My Home Style Hop, PMQ for Two! Have a look at how I decorate my Christmas tree for the holidays. After reading all about my tree, go on to the blog after mine and continue on to be inspired. 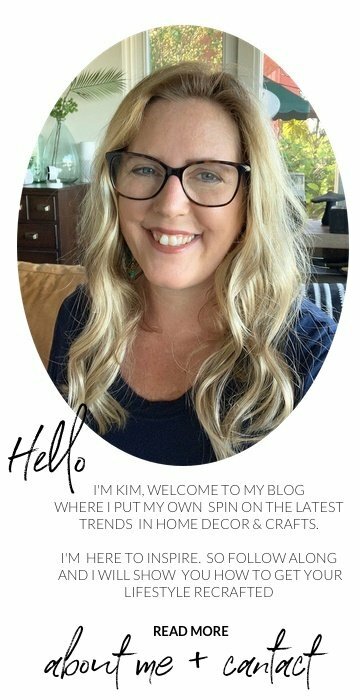 Follow the list at the end of each post to see all the different design trends of all the other bloggers in the hop. Let’s get started! For this years holiday display, I decided to change up the scenery and put up my tree in my living room. This room has two large windows and is on the front of the house. It is also where my favorite funky eclectic furniture resides. My previous holiday tours have showcased my high ceiling, open floor plan family room around my fireplace and entryway. So this year I decided to try a new room this year and I am thrilled at how it turned out! I think the neutral tones with black and peach go together beautifully. After Thanksgiving, we will be moving this tree back to the family room. We love how it looks next to my super tall windows on the back of the house. Plus I have a few more projects in store for the holidays as well. I made some boho stockings and a fun tree skirt to pull the look all together. Stay tuned for my holiday home tour see the rest of the room and fireplace setting. Let’s start with the tree itself. After sharing this image on social media, I have had so many inquiries from people wanting to know where I got this tree. It is a 7.5 foot Northeastern Fir Flocked tree that I found at Walmart. This tree is truly unique and looks so different than the normal flocked Christmas trees. Its long billowy frosted needles are just gorgeous. It reminds me of a department store display tree and for under $200 it’s a steal. The one thing I do not like about it is I wish it came in larger taller sizes. I came up with a solution for that! If you notice the bottom of my tree, I decided to give it a little height. 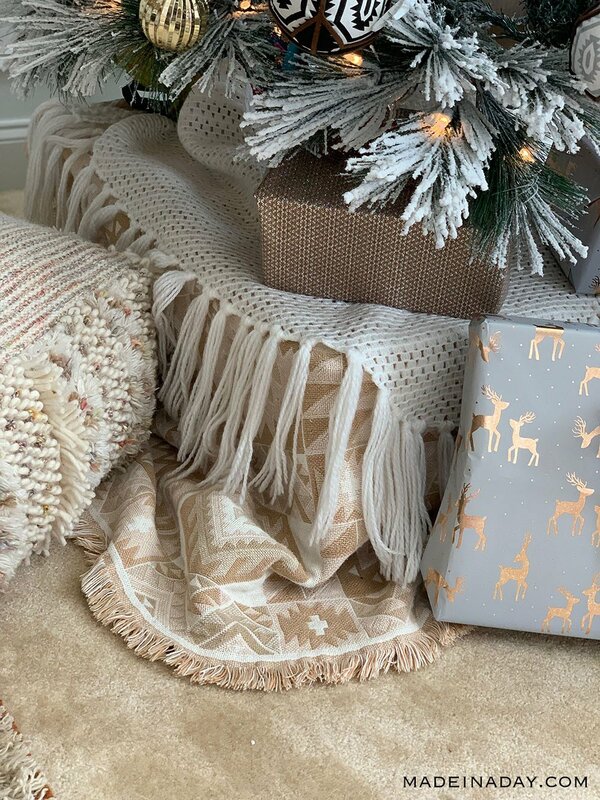 I literally placed the tree base on four crates and covered them with a southwestern pattern blanket and crocheted tassel throw. The tree is now standing at around 8.75 feet. Easy peasy! Most of the ornaments on my tree were handmade and created by me. Follow the links below to see how I made each one. I made sparkling leather arrow ornaments with real feathers on wood sticks with frosted glittery bullseye ornaments to match. Last year I fell in love with the look of Targets tribal ornaments, they are the black ones shown on the left above. Sadly they are no longer available to purchase. I loved them so much, I wanted to make my own version, the Boho Tribal Fabric Ball Ornament on the right. For this project, I decoupaged some large gold ornaments and added leather cording to accent the sections. 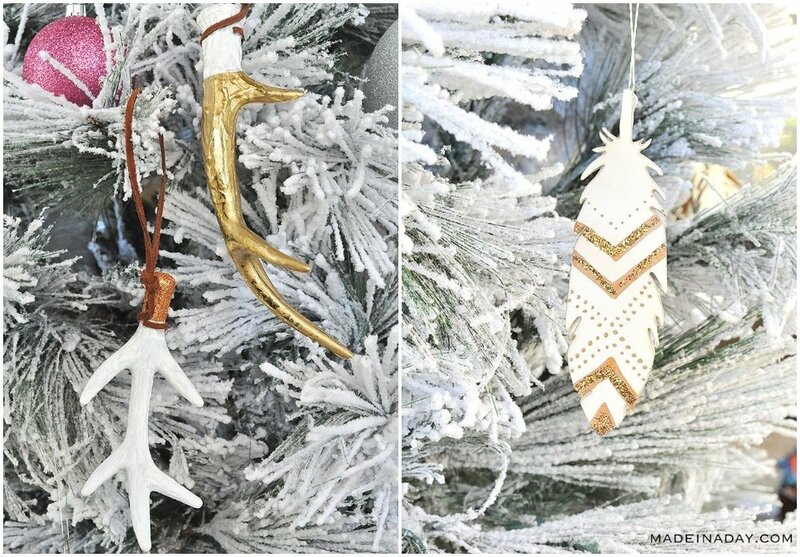 I used antler floral picks and I made them into antler ornaments by painting them and adding leather cording for hangers. Next, I painted wood feather ornaments with paint pens and glitter. 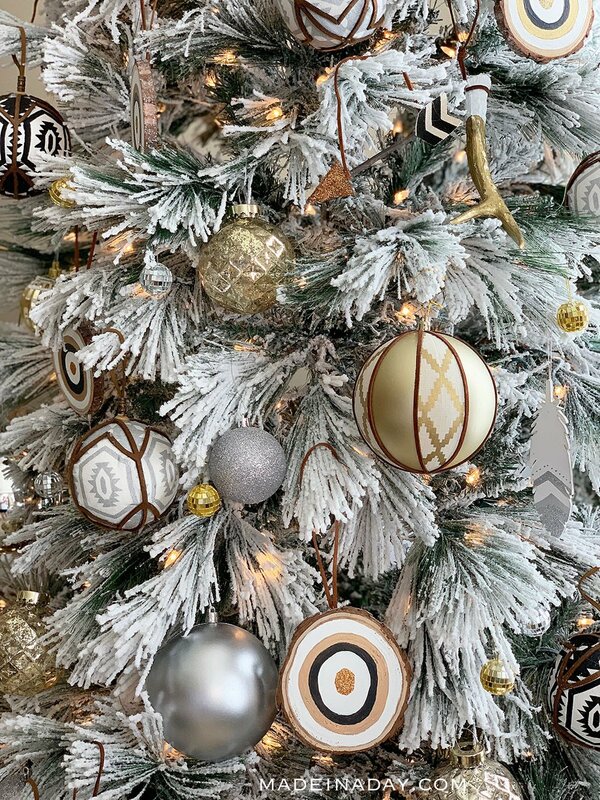 To add some glam, I purchased some vintage looking gold mercury glass ornaments, small disco balls, silver glitter balls, and large silver ornaments to add some sparkle. 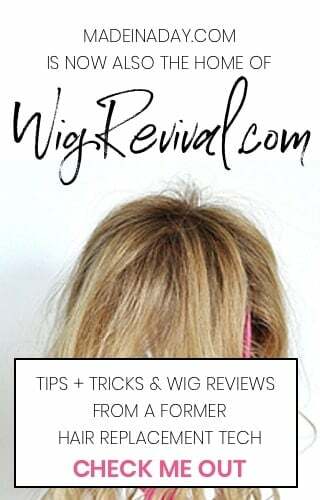 Get the look! 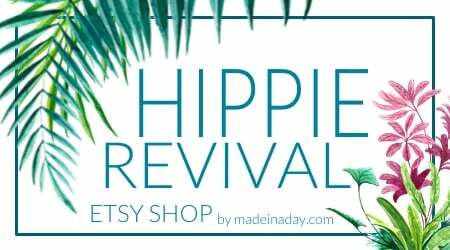 Shop the Post! Want to put together your own Eclectic Bohemian Style Christmas Tree? I have gathered together some of my fav holiday items to recreate my look below. 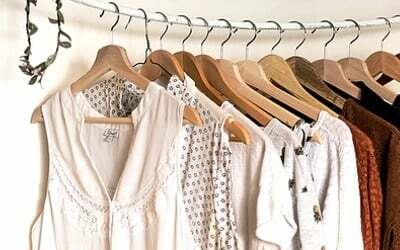 Use the color palette above achieve the look! LOVE IT? THEN PIN IT FOR LATER! I hope you enjoyed my eclectic boho Christmas tree. Stop by again later this month when I’ll be sharing the rest of my Christmas tour. Don’t forget to view the other beautiful Christmas trees being shared every day this week. Next in line after me is Holly of Club Crafted with her Colorful Vintage Christmas Tree. 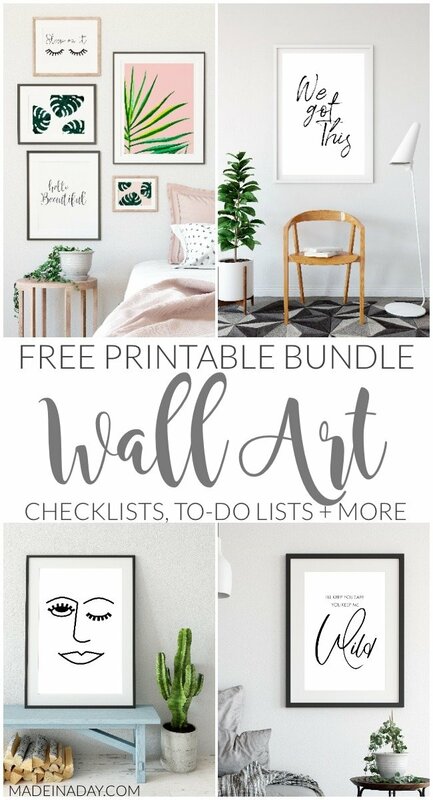 If you missed any of the trees before mine, go back and start with number one on the list Stephanie of Casa Watkins Living and work your way through. Kim I love everything about your tree! 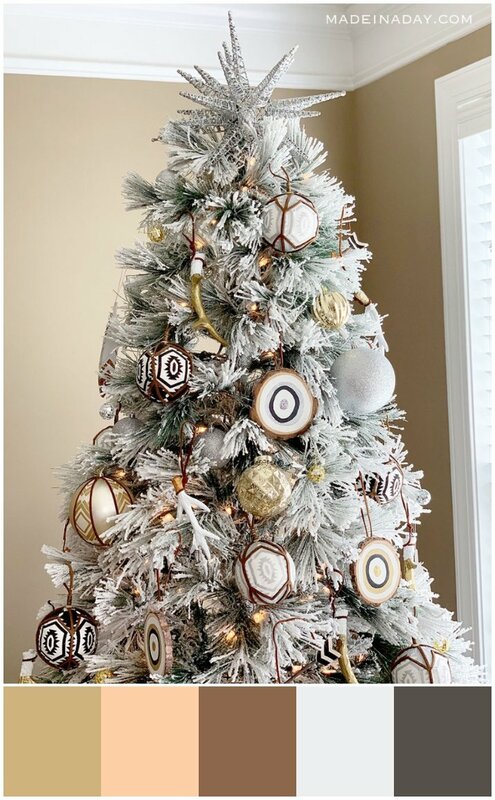 It’s oozing fabulous boho vibes and those ornaments are killer! Those ornaments are awesome and what an amazing shape and fullness to the tree. Great find! Oh my word! What a fun tree! 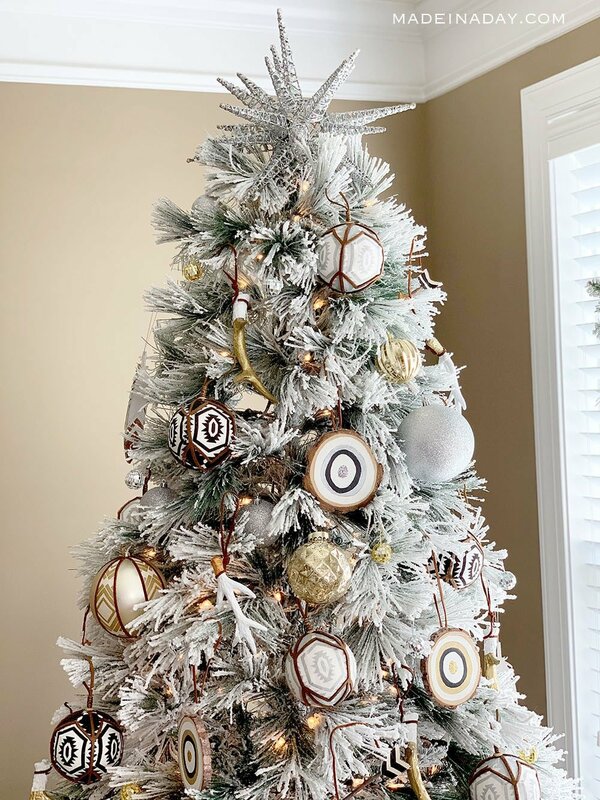 I love the DIY ornaments and the beautiful color scheme. Your tree is beautiful! I’m so happy to see so many flocked trees this year! 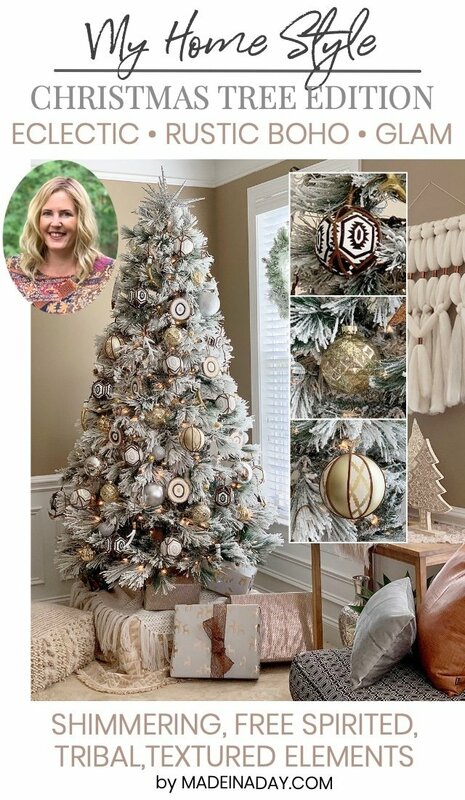 Kim, those ornaments are so awesome, and add the perfect boho touch to your tree! I also love how unique your tree looks, so full with all the flocking. 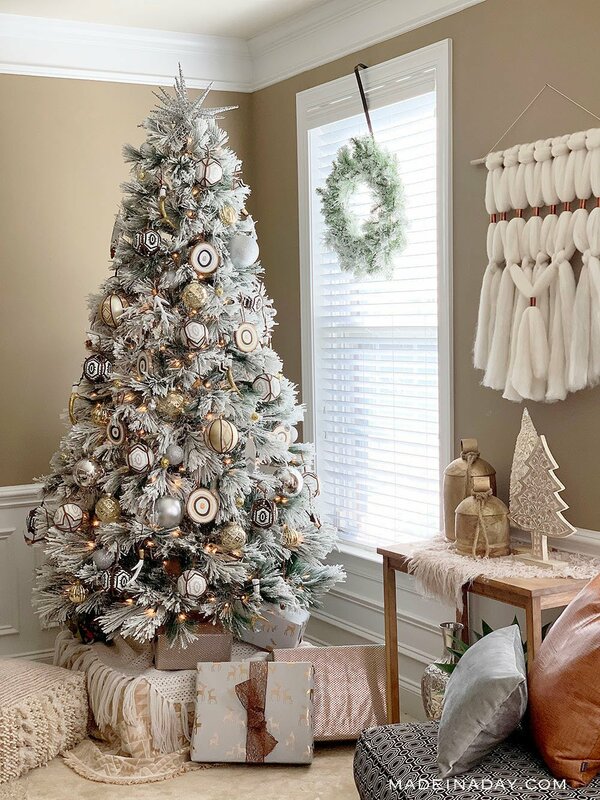 WHAT a gorgeous boho tree! I love all your DIY ornaments, too. Your tree is stunning! The long needles on it are really unique….beautiful! Thank you Julia! I am so in love with that tree! I absolutely love this tree!! The leather is soooo good! The ornaments look great against your white tree!! Thank you Becky! I am still thinking about your fireplace! It is gorgeous!